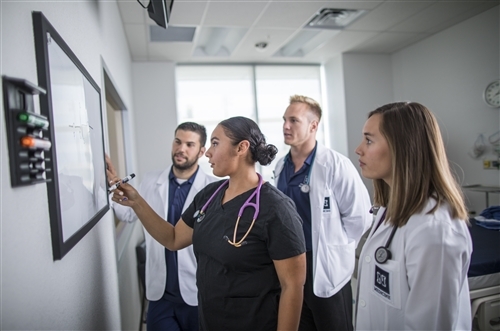 For nearly 50 years the University of Nevada, Reno School of Medicine has prepared physicians who are leading the way to better health for Nevada, the nation and the world. More than 1,800 M.D. 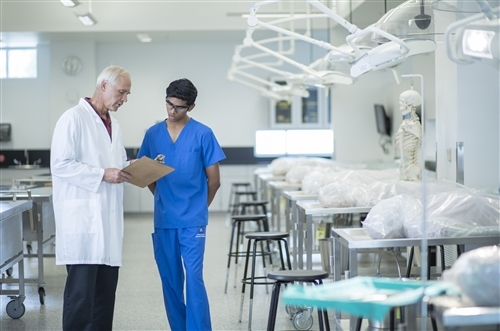 graduates have received advanced education to provide the best in service to the fields of primary and specialty care, as well as medical research. The School of Medicine has a statewide outreach but a local touch providing patient care, offering health services and training physicians in Reno, Nevada and the State's rural communities. The School of Medicine has small class sizes, a handful of residency slots and a traditional curriculum model, but our students are anything but traditional. Students and residents learn from world-renown faculty and have clinical and research opportunities unlike any other institution. Award-winning faculty members, world-renown physicians and dedicated staff members all have two things in common: they are passionate about what they do and they all love Nevada. Our employees are par-none when it comes to the school's success. And they'll treat you like family. 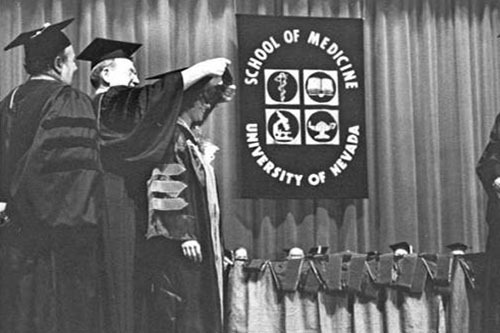 The School of Medicine was established in 1969 as a community-based medical school with a mission of educating primary care physicians for rural Nevada. What once started as a two-year school, now offers four-year degrees in medicine, clinical sciences, among others. Dean Thomas L. Schwenk, M.D., is the School of Medicine's 10th dean. His focus has been on positioning the school as a true statewide enterprise with a high level of commitment to serving Reno and Nevada's rural communities. He is working to expand medical education in the state.